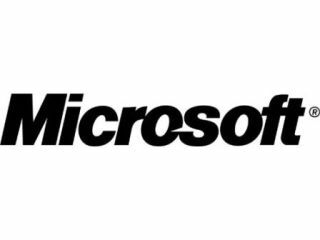 Microsoft has gone on the offensive in its battle with the paid for Google Apps for businesses, publishing a series of case studies from companies that are glad they plumped for Exchange. Microsoft is a distant market leader with Exchange, Outlook and Office, but Google's increasing focus on its own paid-for Google Apps Premier has seen increasing friction in this area. Software giant Microsoft has already introduced a much-enhanced online suite for Office 2010, and is keen to ensure that Exchange and Outlook keep their place ahead of Google's offerings. Two case studies were offered by Microsoft back in April, and the Microsoft Exchange Blog has now published what it terms "the first in a series of customer testimonials we bring you to highlight what we're hearing about Exchange 2010 from our customers." That testimony comes from Phaeton Automative Group – which switched from Google to Exchange. "We'd been using Google Apps to manage employee messaging and collaboration needs but wanted better security and privacy, said Phaeton's Jonathan Pisarczyk. "Google Apps was inadequate in meeting business needs. It didn't allow single sign-on service, user migration and couldn't help us centrally manage multiple domains. "Ultimately we determined that an in-house messaging platform would be best suited to our needs and switched to Exchange 2010." Nobody expected Microsoft to sit back and watch as Google stepped on its lucrative business market toes, but now the blue touch-paper is well and truly lit.